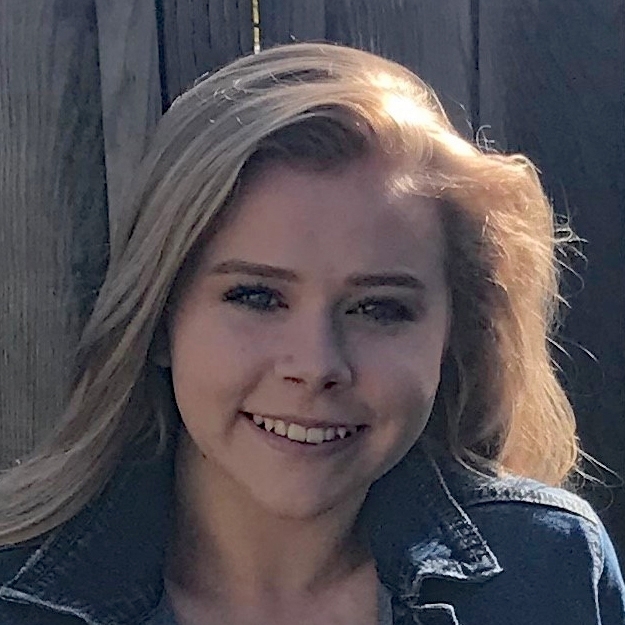 The National 4-H Council has named Elisabeth Watkins of San Joaquin County the winner of the 2019 4-H Youth in Action Award for Healthy Living. She will receive a $5,000 scholarship for higher education and will serve as an advocate and spokesperson for 4-H Healthy Living programming. The two finalists for agriculture are also from California 4-H: Ashley Jordan of Santa Clara County and Rose Fiorenza of Imperial County. 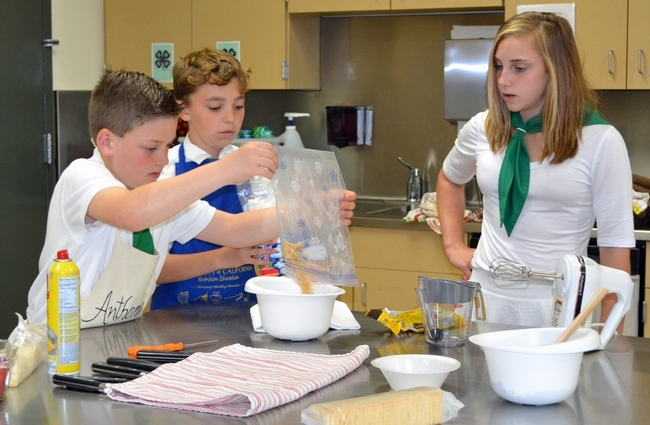 Elisabeth Watkins, right, winner of the 2019 4-H Youth in Action Award for Healthy Living, mentoring younger 4-H members on a cooking project. The 4-H Youth in Action Awards began in 2010 to recognize 4-H'ers who have overcome challenges and used the knowledge they gained in 4-H to create a lasting impact in their communities. The awards are given out in four categories, or "pillars": Healthy Living, Civic Engagement, STEM and Agriculture. Last year, California had seven applicants out of a total of 161 applicants nationwide. For the 2019 awards, we had 19 applicants out of a total of 167 applicants. Elisabeth will be officially recognized as the 2019 4-H Youth in Action Pillar Winner for Healthy Living at the 10th Annual 4-H Legacy Awards in Washington, D.C. on Tuesday, March 12, 2019. 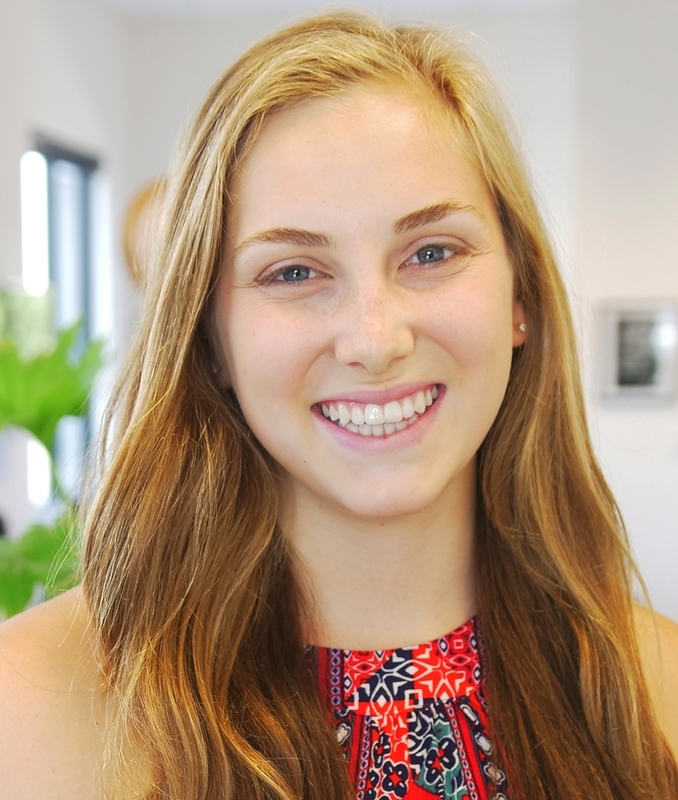 She will be joined by the three other 2019 Youth in Action Pillar Winners: Addy Battel of Michigan (Agriculture Pillar Winner); Clyde Van Dyke of New York (STEM Pillar Winner); and Mason McClintock of Georgia (Civic Engagement Pillar Winner). To learn more about 4-H Youth in Action and to view the other pillar winners from around the country, please visit: www.4-h.org/youthinaction. As a California 4-H'er in the Linden-Peters 4-H Club, Elisabeth became passionate about healthy living during elementary school. After facing health challenges that forced her to stop competitive gymnastics, she found her purpose and her passion in 4-H cooking projects. As she learned more about nutrition, living a healthy lifestyle, and the impact of a balanced diet on physical and mental well-being, her interest in cooking and food production developed into life-changing opportunities and a path for her future career. From her earliest 4-H demonstrations, Elisabeth had an interest in educating others about healthy foods and agriculture. “How to Make an Omelet”, her first 4-H presentation, helped her learn to talk and cook at the same time. Over time, her interest in cooking and teaching grew, eventually leading to competing in – and winning – Food Network's Chopped Junior. Now, she routinely appears on local television stations as “Farm Girl Chef," sharing healthy recipes and cooking tips. In addition to her work as “Farm Girl Chef,” Elisabeth is a dynamic and flexible leader. She volunteered to lead the California State Fair 4-H Cooking Throwdown in 2017. In this role, she coordinated all aspects of the program — encouraging youth to participate, contacting industry professionals to serve as judges, and overseeing all facets of the competition. She also took the initiative to create a similar program in her county, providing youth with opportunities for fun, hands-on learning in developing a healthy lifestyle. It's not just about helping youth develop cooking skills. “Working with youth to help them develop the self-confidence to accomplish something great is so fulfilling,” Watkins said. Elisabeth plans to attend the Ohio State University to pursue a degree in agricultural communications. She hopes to one day host her own farm-to-table show on television, demonstrating how food is harvested, packaged and turned into a healthy meal. As a young girl, Rose was painfully shy, afraid to even make eye contact with others. That all changed when 4-H gave her the confidence and platform to be a leader. A little more than years ago, Rose and a team of other youth in her community worked to launch Sustainable You! Summer Camp, a five-day summer camp for fourth- to sixth-graders to learn about five natural resources and how they relate to the agriculture industry in Imperial County. Using a curriculum developed by the University of Utah, Rose and her team modified the program to better reflect the diverse population and agricultural community of her hometown. During Rose's four years as a member of the planning committee, she rose through the ranks as the group's secretary, treasurer, president and youth camp director. As Sustainable YOU! 's president and director, she created the Junior Staffer position to encourage junior high 4-H'ers to get involved and learn what it means to be a leader during the crucial middle school years. 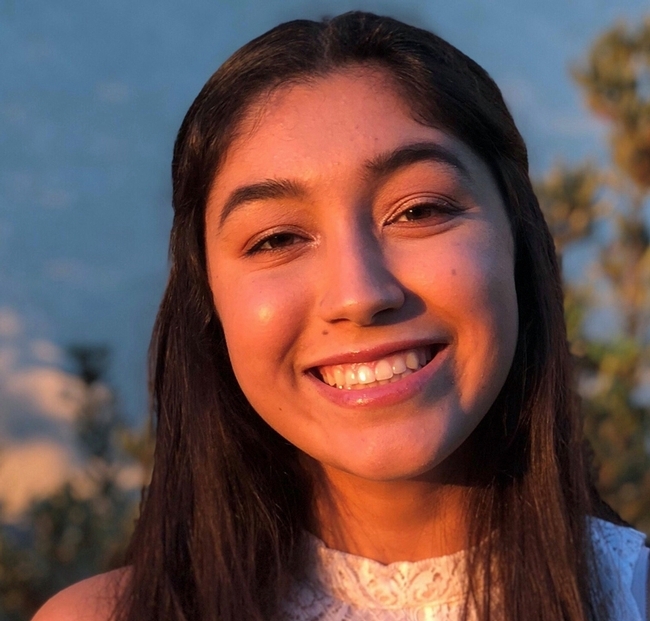 Rose is currently pursuing a degree in marine biology from the University of California, San Diego, and plans to bring more sustainable practices back to her hometown post-graduation. Within the span of one year, Ashley Jordan's life turned upside down when she lost her home to a fire and both her great-grandma and grandma passed away. For most ten-year-olds, these losses would be devastating. But through 4-H, Ashley found an outlet to overcome life's stressful situations. Her peers and 4-H leaders encouraged her to try new things, learn to speak in front of others, and get involved in animal projects. As she interacted with children and adults at the city park where she raises her livestock, Ashley learned how little most of the public knows about the agricultural industry. Thus, the Urban Dilemma Project was born. Ashley developed her own curriculum and taught almost 1,000 urban elementary and middle schoolers about where their food comes from. Currently, Ashley is expanding her curriculum to include crop rotation, bees and water management, and she looks forward to training other youth to teach the curriculum at more schools. Asheley plans to attend California Polytechnic State University in San Luis Obispo, double majoring in animal science and ag business to pursue a career educating others about agriculture's influence in our everyday lives.